I'm back with another sketch challenge card. For my card today, I grabbed a few of my favourite products from Laina Lamb's line to create an encouraging card for a friend. The Count the Stars stamp set is full of fabulous sentiments that you can pair with the Stars & Wishes, and Count the Stars dies. I LOVE that I can layer these two sets of dies. 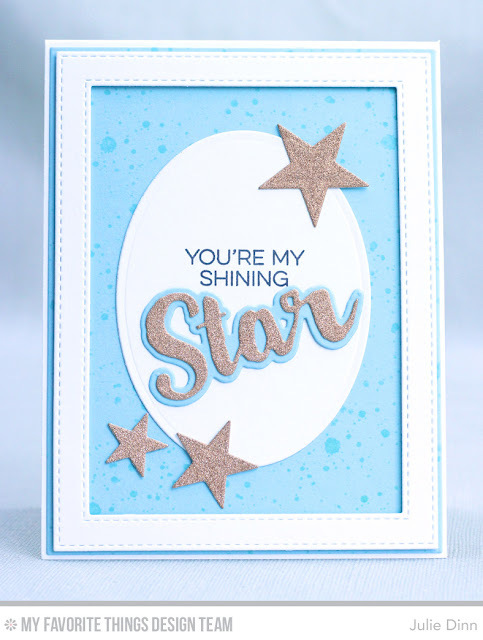 I love the texture the sparkle copper gives your card, fabulous!